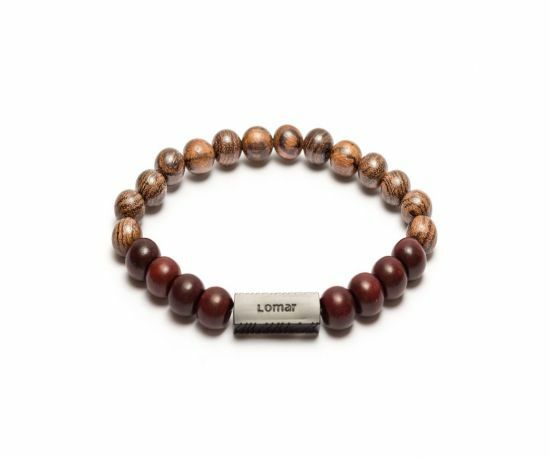 A dark brown bracelet made of wooden beads, decorated with Lomar logo in brown color. 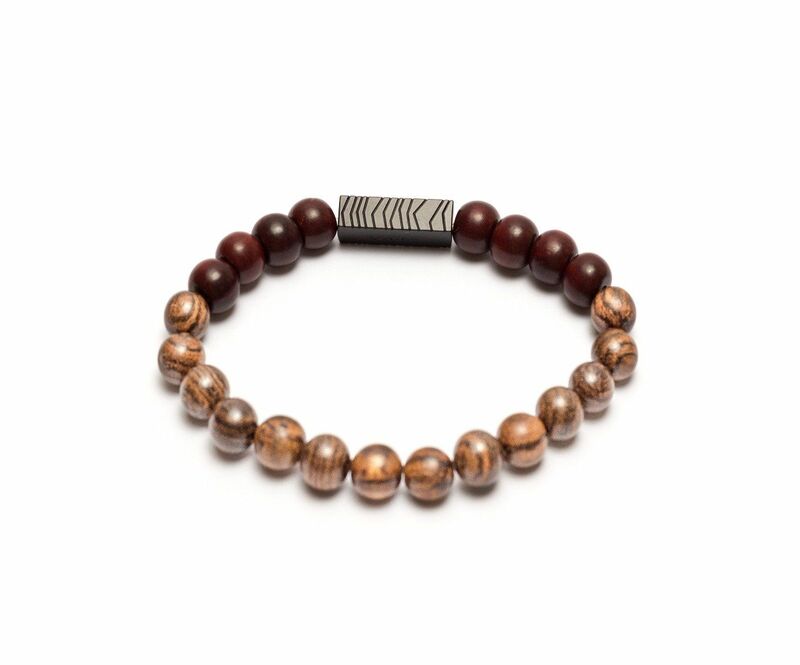 - Made of wooden beads. - Fashionable and distinctive design.